A while ago, I started up a series of posts on stock-making, and thought I should continue it. When it comes to stock-making the home cook needs to keep out an eagle-eye for off cuts of meat and bones to sequester in the freezer ready to whip out for a stock. This I always do at Levenshulme Market (of which I am a Director), where the excellent Wintertarn has a stall selling organic cheese and –being good, sustainable dairy farmers – their organic rose veal too. I always have a nosey for any odd bits and I’ve managed to stockpile a few calves’ tails and a calf’s heart, amongst other things. 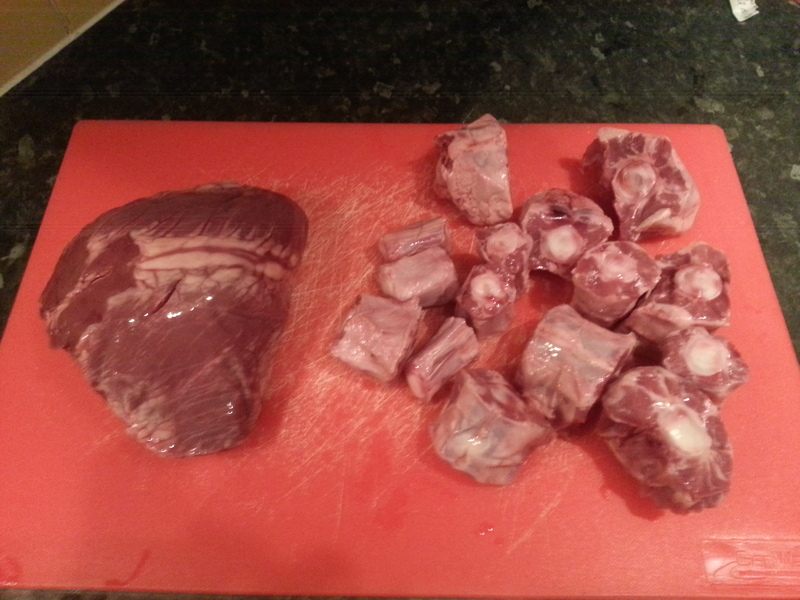 These sorts of bits are great for making meat stocks – muscle for meaty flavour and bones for gelatinous body. I thought I would give you my recipe to make a basic veal stock ready for classic soups, stews and sauces. It is the stock favoured in posh restaurants with kitchen run by French chefs, but it is easy to make, and cheap too, if you know where to look. It’s always a good idea to make friends with your local butcher, for this very reason. The reason it is liked so much is that it as there is no dominating flavour as there can be with beef stocks, yet there is plenty of body. I have written a post already on general stock making, so it might be a good idea to have a look at that if you haven’t made stock very often. This recipe is guidance really, most quote veal knuckle (the veal equivalent to a pig’s trotter) and veal shin, but you can use any cheap/free bone and muscle combination. You only need to the basic aromatics too – this is a simple, yet elegant stock, of course you can add other vegetables too. Notice there are no peppercorns; if you want a clear stock they need to be avoided as they can make the stock cloudy. If you don’t care, add half a dozen. First, get a large pot of water on the boil, and blanche the meat for 5 minutes. This gets rid of the scum, that otherwise would rise to the surface and require skimming. Drain the meat and give it a quick rinse. Place in your stock pot with the vegetables, packing everything in tightly. Pour cold water to just cover, around 2 litres. Bring to a simmer very slowly, it should take at least 20 minutes. If you do this correctly, you won’t get any more scum rising to the surface. Once the water is barely gurgling, move the pot onto the smallest hob on your cooker, set at its lowest heat. Keep the pot covered and let it tick over for 5 hours. It may seem like a long time, but it really needs this long slow bathe. It’s not like you have to stand over it. Tip your nets, grout the bathroom or take the dog out or something in the meantime. Strain the stock through a sieve into a clean pan, bring to boil and reduce by a third. Cool overnight and take away any fat that has solidified on the stock’s surface. You should have a pale coloured jellied stock that can be seasoned and used as required. 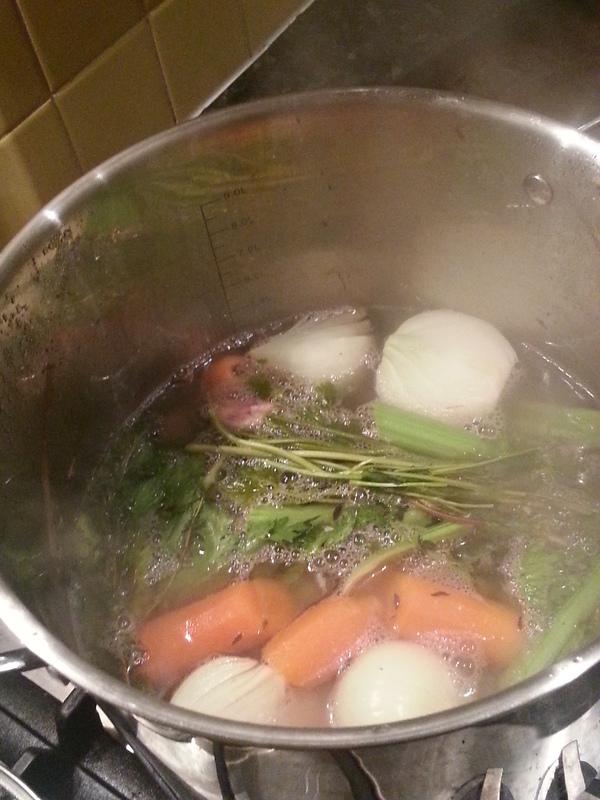 If you want a richer brown stock, the bones and vegetables can be browned in the oven first. In the next post I’ll give you a recipe that needs a good, home-made stock like this. You really do have to hunt for rose veal — I’ve never managed to come across it unfortunately so perhaps a trip down from the Peak District is in order! I think the stigma of caged animals is hard to shake. All veal is rose veal – it’s not always labelled rose as it’s now the standard, so you should be ok. It’s illegal otherwise! Are you saying you’re in the Peak District and can’t find rose veal? There are lots of wonderful farms shops across the Peaks that will supply you. You just have to talk to the butchers. I’ve not been up here that long so I haven’t really had a huge opportunity to get out and look for it — going more on my experiences elsewhere. Good to know it’s out there though. Looks like a great recipe! Oxtail can be expensive as it’s a cut people don’t often request, so butchers have to really go out of their way to find them. These veal tails just happen to be at the stall in the market. I don’t know how easily available they are normally…. It’s what I call real food – like your soup stock! My husband has gotten really good at making stews. Besides this one he makes a mean Hasenpfeffer :). One day I’ll get that one up, too, I hope. I literally have no idea what that is! Then I definitely approve – a much overlooked meat! 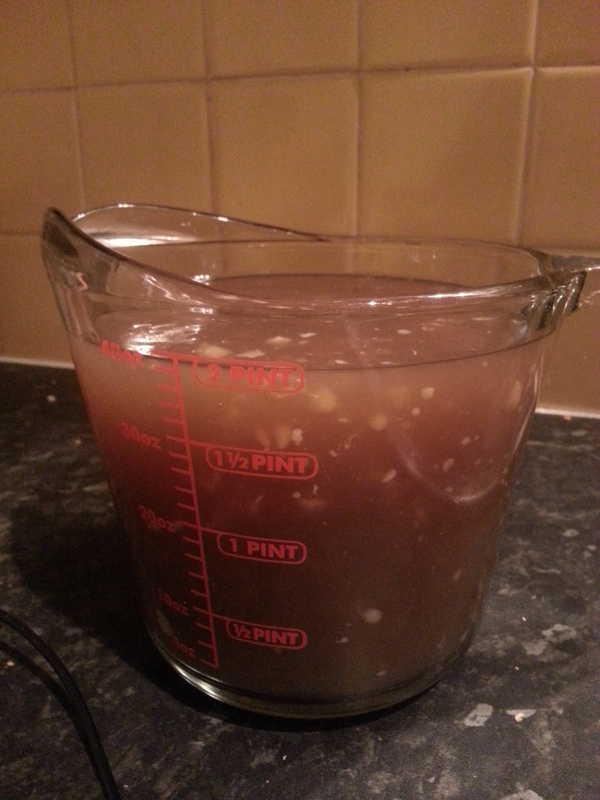 Interestingly I make stock (mostly chicken, to be fair) then reduce it down and freeze it in ice cube trays. Then I have my own ‘stock cubes’ that I can add to anything that needs them. I originally started it to cut down on my salt intake – but the flavour difference is remarkable. It really does make a massive difference – you don’t realise how much your stock determines the final flavour of your food. When using bought stock cubes, all your food just ends up tasting of stock cubes!